Liturgy means “work of the people” and Eucharist is a celebration of the entire community gathered. Lay people can serve in liturgical leadership ministries in a variety of ways including readers (lectors), intercessors (lead prayers of the people), acolytes, greeters, worship lay Eucharistic ministries (distribute the wine), pastoral lay Eucharistic ministers (bring Eucharist to the home-bound and sick), ushers, gift bearers, pastoral visitors and members of the altar guild. 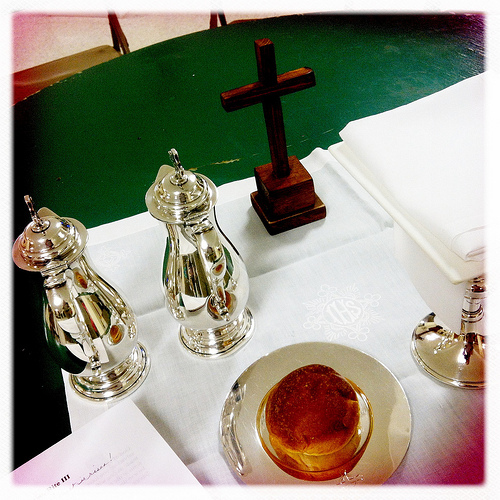 Members of St. Anne’s Altar Guild are faithful stewards as they prepare the Lord’s table each week. From polishing the elements, laundering linens, filling candles and hanging banners, they are dedicated to their calling. Consider joining the Altar Guild, you don’t have to wash the linens! For more information, please contact Joan Fry, Altar Guild Directress. 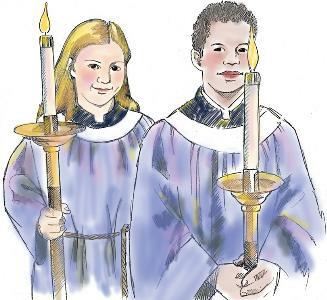 Acolytes contribute their time and spirituality by assisting in the worship of the parish as tapers (carry torch candles) and crucifers (carry the cross) at both the 8:00 am and 10:30 am services. The history of the Acolytes is that it is a long and respected tradition. A person must be at least 8 years old to serve as an acolyte. If you would like to join this ministry please speak with Deacon Bernice or Vincent Van Lieu.